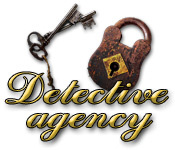 Detective Agency is rated 2.9 out of 5 by 11. Rated 5 out of 5 by Innovativemom from Old Fashioned Hidden Object Game I loved this game. I can't stand hidden object adventure games. All the running around, back and forth is not my idea of fun. I just want to search for objects and work a few puzzles. I mute games and forward though storylines. This game was nothing but HOGs and puzzles. The game went along quickly. There was no waiting on hints, pages to load, or stories to rattle along. There were no penalties for missed clicks. Each scene had 5 tiny little magnifiers hidden in the scene for extra hints. The scenes went back and forth between word lists HOGs and HOGs with the picture outline of objects for you to find. I liked having the mix of the two. It added to the fun factor. The puzzles were a good mix. There wasn't much repetition in the puzzles or the HOG scenes. Now I want to address the language problem that so many reviewers complained about. As I said, I mute games, so no language problem there for me. There were no language problems with the picture outline HOGs either. In the list I came across very few problems. I didn't personally consider them problems but more like a little challenge added to the game. The words were not out of left field. They were just a little off in American English. Examples (these were not in the puzzles) cup instead of glass, sweeper instead of broom, blooms instead of flowers, etc. I did not have to spend extra time looking, I thought they were close enough to the name I might have otherwise used that it worked OK for me, especially since you weren't penalized for using extra clicks. I can't wait to try the next two games in the series. Rated 5 out of 5 by qpqt from Relaxing, no timers This is a true hidden object game. No need to visit walkthroughs or buy a strategy guide. 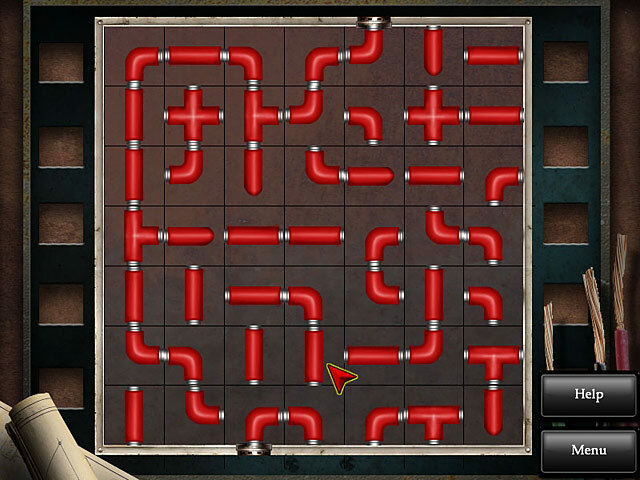 The side puzzles are not too difficult and can be skipped. The best part -- none of it is timed, so you can sit back and seek away. However, if you do like a challenge, this is probably not the game for you. Rated 3 out of 5 by gamefan10 from Needed more work The hidden object part of this game is just OK. 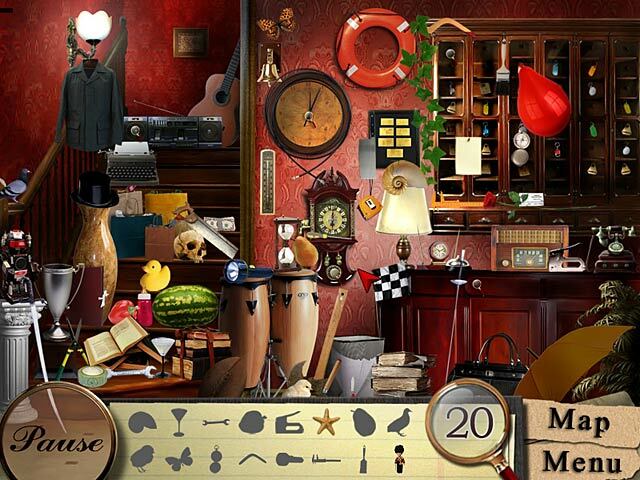 It's supposed to be part of the story, and you help the detective by finding hidden objects. But then you never do anything with them. So you're not helping him after all. 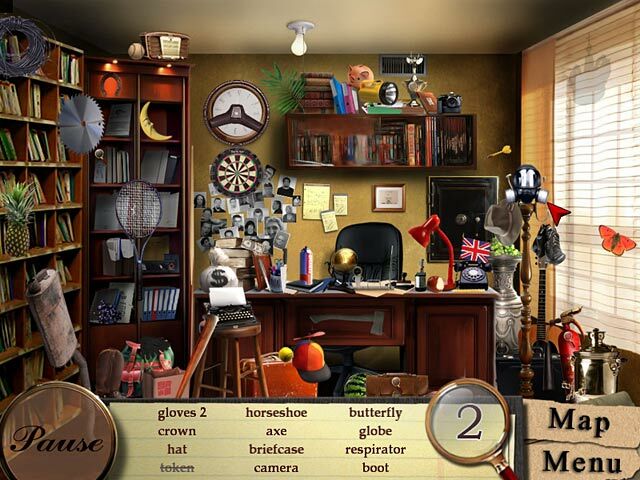 There are two types of hidden object scenes, lists and silhouettes. Both are not that hard. I play most games with the sound off, so I never did figure out that the hint magnifying glasses were making a sound to help you find things, as there were no directions. The mini games are mostly easy, but you can skip them if desired by clicking on the Help key, again, no directions. The thing that bothered me the most was the language difficulties. Words used incorrectly, even in the hidden object lists, and very poor grammar. A simple fix would have been to create the whole game, then ask an English-speaking person to make corrections. Must have just been too much trouble. Rated 3 out of 5 by pennmom36 from Detective Agency This is the type of game that I refer to as a Seek and Find game. Objects aren't blended into the scenery to try and conceal the items, they are spewn about different rooms, not even junkpiles, they are random items such as baseballs, antlers and briefcases with no rhyme or reason. I can honestly say that I had no desire to read the numerous cartoon sketches of dialog so I cannot begin to tell you what the story is about. You search room after room of various buildings for the listed items, with occasional silhouetted shape finds as well. There doesn't seem to be any misclick penalties, and my favorite part of the HO searches was finding the 5 magnifying glasses in each location. The magnifying glasses are used as extra hints up to a total of 20, however, you can still click on them you just don't get any more hints after 20. I thought the hint system was pretty cool too. If you need a hint to find an item you use one of your hint magnifying glasses to search the room, a ping will occur slowly if you aren't near the item, and quickly when you are directly over the item in question. There are several mini games between some of the levels such as, spot the difference, matching identical pairs by flipping over two cards at a time, or a game of pipes where you rotate pipes in different positions to allow a complete connection from beginning to end, enjoy! Rated 3 out of 5 by Tufty57 from Good game for beginners Although a little old fashioned now, this is a good HOG for beginners. A straightforward game with an interesting hint system in the HOSs and puzzles, though easy, are skippable. Graphics are pretty basic by today's standards, especially the link scenes which are comic style. If you are looking at today's Daily Deal and want to try a similar game, then this could be the one. Rated 3 out of 5 by Akenta from relaxing game Not as challenging as most of the hidden objects put out today, but was still fun to play. There are two types of hidden object games - finding an object based on the name (does not always match with the picture) and finding based on a silhouette. A lot of puzzles are in the game between the hidden object scenes - again most aren't as challenging as the recent puzzles (even the spot the differences weren't too bad). The story line didn't grab me and was told in a comic book fashion. The only other down side was the game was on the short side. Would recommend as a DD, not sure worth the full price. Rated 2 out of 5 by Kyla4u from Not good..... There are not many nice things I can say about this game. The searches were dull and the storyline was almost impossible to follow. The graphics were also bad. The only 'fun' factor I can attribute to this game, was the hilarity of the dialogue - the developers obviously used 'Google Translate' to translate of the dialogue from their home language to English. Seriously - don't waste your money. Rated 1 out of 5 by alwaysmom from Horrible English - awful game Really hard to follow the horribly translated English. Rated 1 out of 5 by mascouche from Wasted money Don't lose your time and your money on this game it's not worth . Boring from the beginning 'til the end . Help James, a young talented private detective, find a stolen treasure map and solve the case in this Hidden Object game!